Dr. Sam Robbins is an anti-aging and hormone specialist, nutritionist, exercise physiologist, writer, speaker, leading health entrepreneur and philanthropist. Because of this, he left medical school “which limited my ability to help people get and STAY healthy, naturally!” states Dr. Sam. 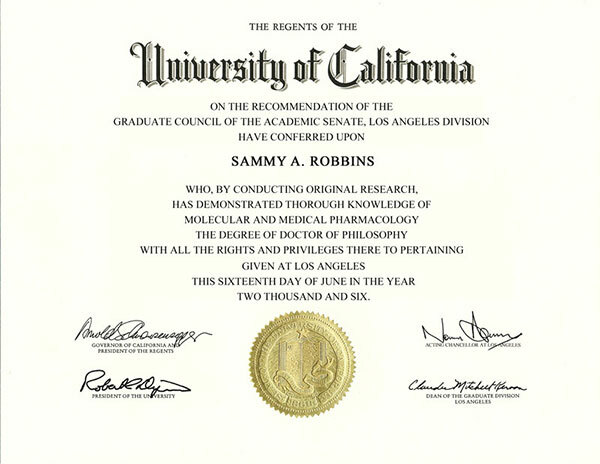 “By changing direction and getting my Ph.D. and becoming a Certified Nutrition Specialist® and a Registered Orthomolecular Health Practitioner, has allowed me to heal the body and to treat and avoid many illnesses, naturally,” continues Dr. Robbins. My reason for being in the “health world” … my “why” … my “passion” and desire … Is to HELP you, help yourself. The truth is, I’m just like you – I’m first and foremost a “consumer”. I want to look younger, feel energetic, prevent diseases and live a long and more importantly, a healthy and happy life. I’ve tried almost all the diets, exercise programs, supplements and health “techniques”. Unfortunately, most of the things you hear about either don’t work at all … or only for a short time. And then there are those that are actually UNHEALTHY for you and do more harm than good. So as I learned more about health and what really works in the “real” world, I shared it with my friends and family. Little by little, that “sharing” has grown to thousands and millions of people around the world during the past 20+ years. I want you to learn from my mistakes and what I’ve learned from others, so you can save yourself time, money and wasted effort. I’m fortunate and grateful that I love what I do and at the same time, I get to help people — that’s a true win/win gift! I’m here to guide you as your “doctor”, but even more importantly, as your trusted friend — as I do for my on family and close friends. In today’s hectic and “information overload” world, it’s difficult to figure out WHO to trust, WHAT to believe or HOW something really works in the REAL world… and more importantly, what will work for YOU. This is especially when it comes to your health because the media (news) says one thing, then some “expert” says something totally different and then another “expert” says the complete opposite. Most people are frustrated because of the contradictions, lies and the lack of results, that they just give up after a while and stop focusing on their health. They start to feel that it’s their fault they aren’t getting results and thus, they lose hope and become disillusioned. My goal is to give you hope again… To reduce your confusion, the misinformation and all the frustration that comes with getting and STAYING healthy. We are drowning in information, but desperately craving wisdom! Health is “what I do”, even when I’m not working. It’s what I spend my time AND money on for personal and professional reasons! These are the reasons I want to help you achieve your health goals, for a better future for yourself AND your family! Tuth is, there are lots of ways to improve your health. And this is where the confusion and frustration starts for most of us… too many options! I’m here to help you choose the right options for YOU – the easiest, simplest and quickest way to get and stay healthy! If what I share makes sense to you and you get results, continue doing it. If not, change and modify until you do achieve your goals. We are all so different that “one size” does NOT fit for everyone. I want you to learn from my mistakes, so you can save yourself time, money and wasted effort. I’ll give you my suggestions based decades of research and more importantly, REAL LIFE results! I’ve invested the time and money. I’ve listened to and have interviewed the “experts”. I’ve taken the best of the best — all the boring or complicated “stuff” — and I’ve simplified it for you (and myself!). Now it’s up to you to apply what you feel will work for YOUR needs, wants, desires and goals. And that’s the secret to all of this or anything in life — to APPLY what you learn, and to NEVER stop learning! To take action daily. To be consistent, persistent, patient and “flexible” in achieving your goals. And don’t forget, to achieve a goal, you first have to SET one! Q: How Did You Get Started In This? Then in my teenage years, I was always curious as to why some guys were faster, bigger, stronger, etc. How some people could “easily” climb up a rope in gym class or do a dozen pull-ups, while I struggled to just barely do even ONE. I wanted to improve so I can be a better athlete, so I can be picked first when playing sports (rather than last) and of course, have the girls like me more =). Over the next few years, I just learned everything I could about improving my body. At first, it was all about the “physical” aspects. Then I discovered that the best athletes also had faster brains, cognition, and a better “mind-to-muscle” connection. And that’s when I discovered that you can NOT “disconnect” the body from the mind – they are so deeply connected. And thus, I then wanted to know how to improve and optimize BOTH my mind AND body. As I learned more, I improved more. Over time, people were asking me for advice and they had all the same questions, doubts and frustrations that I had. I then realized just how much I loved to help and give to others. I can share what I’ve learned, so they can benefit as well. At this time, I started to take on lots of clients, but I quickly transitioned into working with professional and Olympic athletes, as well as celebrities. People who wanted to be the “best of the best” and see dramatic improvements, as fast as possible. They were very driven and motivated, I liked that. In the early years, I was very focused on mainly “fitness” — building muscle, improving performance, maximizing hormones, getting stronger and faster, while decreasing body fat. As I got older, I started to focus more on “health”, as well as fitness — injury prevention, boosting the immune system, optimizing and balancing hormones and improving your mindset. This is also when I started to put a lot more emphasis on nutrition, vitamins, minerals and herbs. Then as I entered my 40’s and beyond, I integrated “longevity”, into both health and fitness. Now I wanted to make sure I stayed healthy and prevented diseases and cancers. I wanted to keep my mind sharp and prevent memory loss, dementia and Alzheimer’s. My goal was to balance, as well as simplicity. And of course, optimize my youthful hormones and neurotransmitters, so I can continue to look and feel young as long as possible. Q: What's Your Educational Background? There was a point in my life that I thought the more “letters” I have after my name, the “cooler” I was, the more respect I would get, the more confident and the richer I would become. But, that wasn’t always the case. Unfortunately, what “they” teach you in school, typically does NOT apply to the REAL world. However, I’m very successful in helping people achieve their health goals because what I teach, is about results based on what is proven to work in the REAL world, not what you read in some textbook or a theory based on some “clinical study”. So, here’s a quick summary of some of my degrees and certifications. B.S. in Kinesiology — This continued my education about the human body, how muscles work, being balanced, athletic performance, injury prevention, building muscle, losing fat, etc. Certified Nutrition Specialist® (CNS®) — I’m board certified by the American College of Nutrition. This made a big impact in my life because I began to heavily integrate nutrition and supplement into my life, as well as my clients. This caused major improvements in performance and overall health. Ph.D. in Molecular & Medical Pharmacology — Even though I’m very much into “natural” healing of the body, I was first fascinated with how drugs work because they are so powerful and can cause dramatic changes quickly. However, this path actually lead me to where I am today because over half the drugs made, are based on NATURAL PLANTS. However, what I’m most passionate about and what I focused on primarily in my education, was anti-aging and endocrinology — which is the study of hormones and how to slow down the aging process — both physically and mentally. Registered Orthomolecular Health Practitioner (ROHP) — Orthomolecular medicine describes the practice of preventing and treating disease by providing the body with optimal amounts of substances, which are natural to the body. This typically consists of food, herbs, vitamins, minerals, amino acids, etc. Q: Why Should I Listen To You & Not Other Doctors or Experts? Well, you should listen to everyone… not just me. If something makes sense to you, try it, see if it works and either use it or discard it. Listening to your body is both a science and an art. It takes time, but something you should master for life-long health and happiness. Luckily, I’ve always been very curious and I LOVE to learn. In fact, one thing that brings me great happiness is to learn and then “share” with others what I’ve learned, to save you time, money and frustration. To help you speed up results, with the least amount of effort and time. And of course, to do it safely and have fun in the process! That gives me even more drive to learn more … which will never stop till the day I die. However, one major reason people connect with me more than others is that I’ve always had the ability to take the complicated and simplify it. Which is something we all desperately need today, since we are so overwhelmed and overloaded with information, yet starving for wisdom and experience. Unfortunately, most “experts” do the opposite — they over-complicate things and that just causes more confusion and the end result is that people don’t take action. What I share with you works clinically and more importantly, empirically — in the REAL world with REAL people! Most people don’t know that I did get into medical school (to get my MD). However, I decided to leave after a few months and instead, pursue a Ph.D. This is because I realized that in today’s society, being a medical doctor was more about “masking symptoms” with harmful (and expensive) prescription drugs and doing surgery. Conversely, I cared more about the actual CAUSE of illnesses and how I can prevent or fix the problems naturally – as the primary solution… While saving the drugs and surgery as the “last resort”. The truth is, I’m not against drugs. If I’m in an accident or being rushed to the emergency room, give me the drugs. They work quickly. They’re powerful and I have total respect for them. However, these days drugs seem to be the only or primary solution, and I completely disagree with that. What’s interesting is that most people don’t know that many drugs (at least 50% or more) are based on natural herbs and plants. Nature always has the answers, not the pharmaceutical companies! This is why I decided to combine “both” worlds into one. I have a degree in pharmacology and studied endocrinology, which allows me to understand how drugs interact with hormones. However, I’m also a registered Orthomolecular Health Practitioner and a Certified Nutrition Specialist®, which means that I have a much better understanding of how nutrition and supplements work with the body, to help avoid and treat many diseases. And this has lead me to where I am today — educating people (writing, speaking, videos, etc.) about lifestyle improvements and formulating natural alternatives to drugs, based on clinically proven and scientifically researched supplements. Lastly and probably most importantly, I really enjoy helping people. I like speaking and spending time with people, getting to know what may have potentially caused their health problems (both mind and body). Unfortunately, being a medical doctor limits your interaction with your patient to just a few minutes. “Get them in, prescribe a drug and get them out” — that’s how modern medicine works these days… which goes against my beliefs and core value. Q: What Part Of Health Are You Most Passionate About? I’m a firm believer that genetics plays the biggest role in how you look and act. However, the right MINDSET, coupled with optimal HORMONE levels… will allow you to MAXIMIZE the “positives”, while MINIMIZING the “negatives” of your genetics. And this certainly includes your lifestyle — diet, exercise, stress management and supplements. However, what I care most about is HELPING people achieve their health goals – both psychical, as well as emotional. Remember, your mind and body are connected and work WITH each other!